As a computer system ages and with frequent use, it is normal to say that it is prone to errors and even system crash. This is due to the fact that with every use of the computer, its files and folders tend to breakdown and become fragmented. When this happens, some files and folders become messed up and jumbled in inappropriate areas in the computer’s hard drive. This event causes the computer system to run really slow and sometimes, to the disappointment of the users, there may even be processing problems. During this time, it is best that computer users know how to defragment their computer to resolve these computer issues. Defragmenting is a process of reorganizing the files and folders in a computer’s hard drive by putting together all the pieces of related files and folders together. This process of integrating contiguous parts of the computer system allows the computer to access files more efficiently and more conveniently and therefore makes its process run smoothly. All computers, even with different operating systems, come with some type of defragmenting tool. These defragmenting tools are most probably found under the operating system’s “System Tools” especially in the Windows operating system. Thus, in a Windows-based PC environment, a user can just access the defragmenting tool equipped with both an analysis and repair feature. The analysis part of the defragmenting tool will tell users whether the computer system needs to de defragmented or not. Some system defragmenting tools can also be run from the prompt drive or command prompt; it all depends on how skilled the user is in using the system tools in his computer. Go to the “Start” menu and find the “My Computer” or “Computer” menu/button. Click to open the Windows Explorer and see the contents of the computer. Once the desired drive is located, right-click on it and click the “Properties” menu so that a menu bar will appear. Click on the “Tools” tab at the top of the menu bar and look for the command that says “Defragment Now”. Click this button to open the Disk Defragment window. On the Disk Defragment Window, specify again the drive that you want to defragment then click the “Defragment” command. The tool will start the analysis of the system so it can give you an option whether to defragment or not. If there’s a need for defragmenting, the tool will do so. The user can then exit the tool once the defragmenting process is done or after he has viewed the defragmenting report. If this is the first time that the user has defragmented his computer system and if he has been using the computer for a long or if the user has never defragmented his computer for a while, the defragmenting process may take hours to complete depending on the size of the hard drive as well. Some users may even need to spend overnight just to defragment their computer. One thing is for sure though, the more often the computer is defragmented the faster the defragmenting process will finish each time; thus, defragmenting once every month is highly recommended. If this process though may sound really complicated to a user or if defragmenting the computer system doesn’t seem to solve a user’s computer issues, he might want to try an alternative to defragmenting through a system called MyTurboPC. This new software can automatically fix computer errors aside from defragmenting the computer. 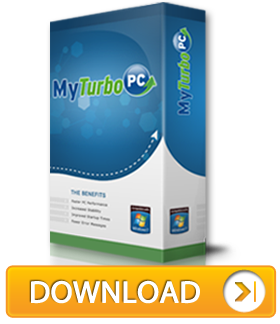 Users can download MyTurboPC from the company’s website to try it and see it work its magic to their computers.